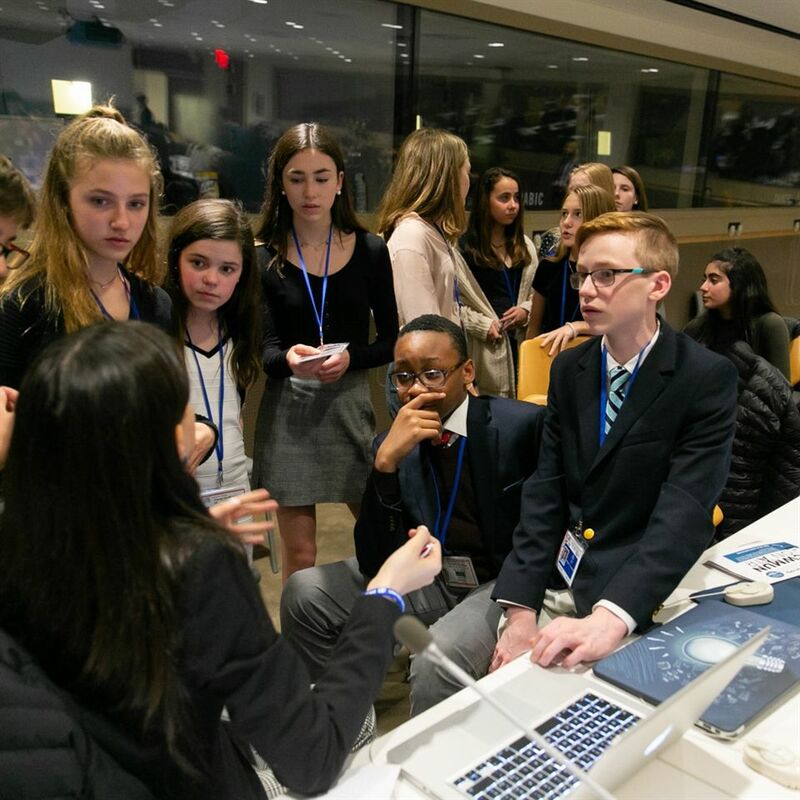 Derby Model UN Club members recently returned from the Change the World International Model UN 2019 Conference, a three-day event at the headquarters of the United Nations in New York City from March 29-31. The conference was an immersive experience for students, who worked together to solve global problems with students from around the world. Representing their nations on the global stage to present, defend, and debate strategies, students worked side-by-side with their international peers. As delegates, students balanced their personal beliefs with the adopted socio-political affairs of their nations, presenting their research to their fellow ambassadors and committee chairs. Language and cultural barriers, time restrictions, and professional decorum mirrored the actual forum and proceedings of the United Nations. Students also met in the General Assembly room, the main policy-making area of the United Nations. There, students worked in the same space used by global diplomats and keynote speakers such as Malala Yousafzai, and every U.S. president since Harry Truman. For their outstanding efforts, Derby Grade 7 student Nikhil Rich and Grade 8 student James Peng won Best Position Paper, while Grade 8 students Tanner Burnett and Eliza Farley received the Delegate Award, which recognizes the best delegate in the room, as voted on by their peers.